The Himlung Himal is situated in the Manaslu region northeast of the Annapurna region, which is considered one of the remote corners of Nepal and Tibet border. 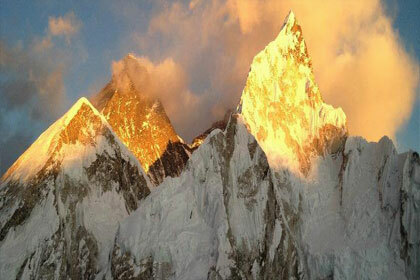 This mountain has been becoming popular day by day to the climbers on these present days. Himlung Himal with an altitude of 7126 meters lies in the remote corner of Nepal and Tibet boarder. Previously a restricted region, Nepal Government opened the region only in 1992 by and so far only a few expedition teams including Japanese and French have summitted Mount Himlung. Expedition for Himlung Himal follows Round Annapurna route to Koto and from Koto towards Nar-phu Gaon. The route passes through high peaks and passes, glaciers, remote villages, narrow gullies, forests, rocks, springs, Gompas and unique cultural settlements. The expedition also offers mysterious culture and panoramic mountain views of Nandadevi, Rajramba, Api Himal, Kappa Chuli Peak and many more. Himlung Himal isn’t of particularly difficult it is a very beautiful course of alpinism in altitude from its Base Camp to the summit. The route to Phu Gaon from Manang is newly opened and fewer tourists have visited, so far. These routes are combined with high peaks and passes, glaciers, remote villages, narrow gullies, lovely forests, amazing rock and spring formations, Gompas and unique varied cultures. Base camp will be established at the height of 4900m; which is located at the upper border of one of pastures belong to Phu. 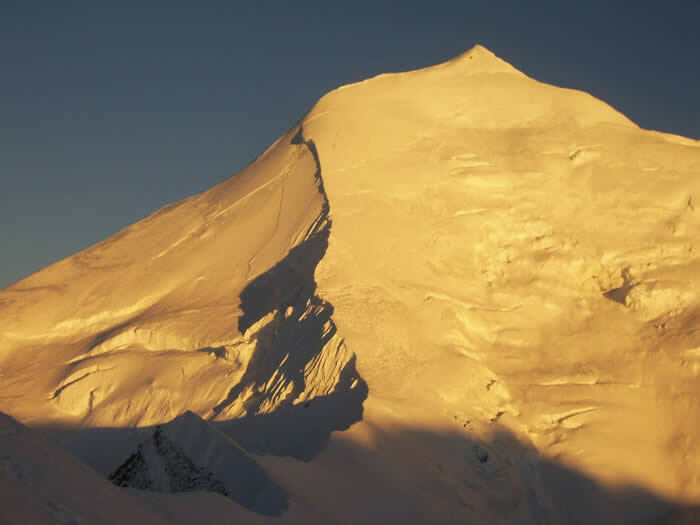 Normally three high camps will be established to reach the Summit. Camp I at the height of 5450m, Camp II at 6000m and Camp III at 6350m. Technically Mt. Himlung Himal is not so difficult. 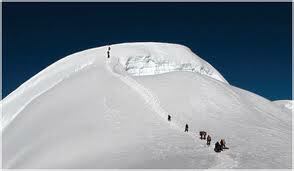 It is very beautiful mountain for alpinism in altitude from its base camp to the Summit. Accomodation: Comfortable Hotels in Kathmandu and tended accommodation duration expedition. Day 01: Arrive Kathmandu and transfor to Hotel. Day 02: In Kathmandu for official permit procedures. Day 03: In Kathmandu for official permit procedures. Day 04: Kathmandu drive to Beshisahar. Day 05: Beshisahar drive to Koto. Day 06: Koto trek to Meta. Day 07: Meta trek to Kyang. Day 08: Kyang trek to Phu villagae. 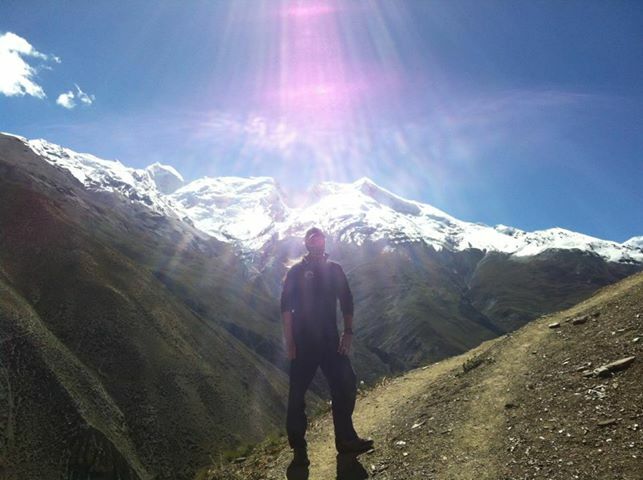 Day 29: Basecamp trek to Kyang. Day 30: Kyang trek to Meta. Day 31: Meta trek to Koto. Day 32: Koto drive to Beshissahar. Day 33: Beshisahar drive to Kathmandu. Day 34: Kathmandu for debriefing. Hotel accommodation in Kathmandu on single bed and breakfast. Himlung Himal climbing permit fee and other applicable permits. Cargo clearance and duties fees. Professional High altitude climbing Sherpa depending on number of member in group, 1 Government Liaison officer , guide, cook, Kitchen helper and porter. Equipment allowance, Daily wages, insurance, food and shelter for above mentioned staff, porters and liaison officer. All food, fuel and accommodation for member and Sherpa staffs through ought the expedition period at base camp and while approaching from base camp. Complete Base camp camping equipments. Garbage shipped of charges from base camp. Complete camping and group equipments above Base camp: tents, Ropes, Snow bar, Rock piton, Shavel,Ice-screws etc. One satellite phone with walkie/talkie for communication. Epi Gas,high altitude cooking pot and stove. Foam mattress/Dinning Tent/Kitchen Tent/Toilet Tent/Hot shower Tent/Member tent,tables,Chairs all necessary cooking gears. Drinks,laundry,postage,telephone bills, Tips, all items of profesnal nature.